Instagram Scoop: To those who are asking about the whereabouts of Purefoods' Ian Sangalang, he was spotted watching the Hotshots semis game against Talk 'n Text few days ago. 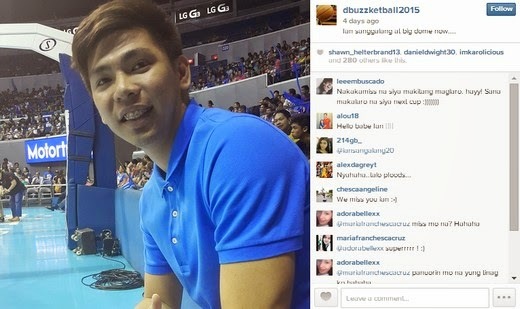 There are rumors that he will be back in the Governors' Cup 2015 to help his team defend their title. It is also said that Marqus Blakely will be back as their import in the 3rd conference.